had their roots, founders and original members Patsy Watchorn and Sean McGuinness came from The Qeare Fella. They decided to form their own group and The Dublin City Ramblers came into being_ Along the way they toured Ireland, America and Europe and made several albums. On one of those albums was a song written by Dublin songwriter Pete St. John called "The Rare Au1d'Times"
one of Ireland's most popular ballad groups and live attractions. Night after night they sold out venues and that's not just here at home. Their regular tours of America also generated full houses. What is it that makes The Dublin City Ramblers so special? It's their attitude to the audience. They make the crowd part of the preformance from the outset and generate a good time party atmosphere even in the biggest concert hall. The above songs were the big hits for The Dublin City Ramblers but they recorded much more songs which can be found in the other sections of the site. The Dublin City Ramblers started life in the mid 60's as the Jolly Tinkers, but due to the abundance of ballad groups with same name, they decided to change their name to the Quare Fellas. At this time, the line up consisted of Patsy Watchorn, brothers Sean and Matt McGuiness and Pat Cummins. While the group recorded the two albums At Home and A Fond Tale on the CBS label, they considered themselves part-time musicians. Pat Cummins left the band sometime between the first and second CBS album and was replaced by Brendan Leeson. In 1970, the Quare Fellas disbanded and "The Dublin City Ramblers" were formed, with Patsy Watchorn, Sean McGuiness, Mick Crotty and Kevin Gerahty. This line up lasted until approximately 1977. 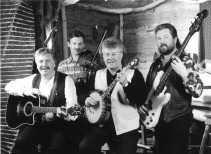 When both Mick Crotty and Kevin Gerahty left the group, and Philip Caffery—fiddle, and Kevin Molloy—guitar and vocals, joined. This was to be the group's most prolific line up (releasing some 7 albums), and also (arguably) the band's most successful period. 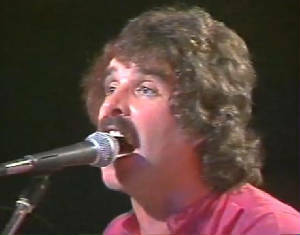 Between 1980-1987, the Ramblers scored most of their hits, beginning "The Rare Ould Times" through "Flight Of Earls". In 1989, both Philip Caffery and Kevin Molloy left and Paddy Sweeney (formerly of the Barleycorn) stepped in and one album resulted, Home and Away. Shay Kavanagh joined in 1992 and this line up released Recorded Live at Johnny Fox's Pub and The Craic and Porter Black, the latter being one of their better albums—a very pleasant excursion through some of the best known Irish pub songs. Unfortunately, The Craic and the Porter Black was to be Patsy Watchorn's swan song, as he left to pursue a solo career. Sean, Paddy and Shay continued to maintain a heavy touring schedule at home and in the U.S., and released two albums, Raise The Roof and On Holy Ground. In 2002 both Paddy Sweeney and Shay Kavanagh left the group and were replaced by Pierce Mcallorum and keyboard player, Eddie Lynch. 2005 saw yet another change in the Ramblers line up as both Pierce Mcallorum and Eddie Lynch left and Stephen Leeson and Freddie O'Connor joined. 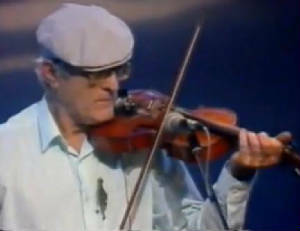 Pearce now playes with Raglan Road , and Patsy is with The Dubliners. At the height of their career The Dublin City Ramblers were one of the most successful ballad groups in Ireland along with The Wolfe Tones and The Dubliners. The Ramblers still preform today but not much in Ireland as they are based in Spain and do the odd gig in America for the folk festivals.